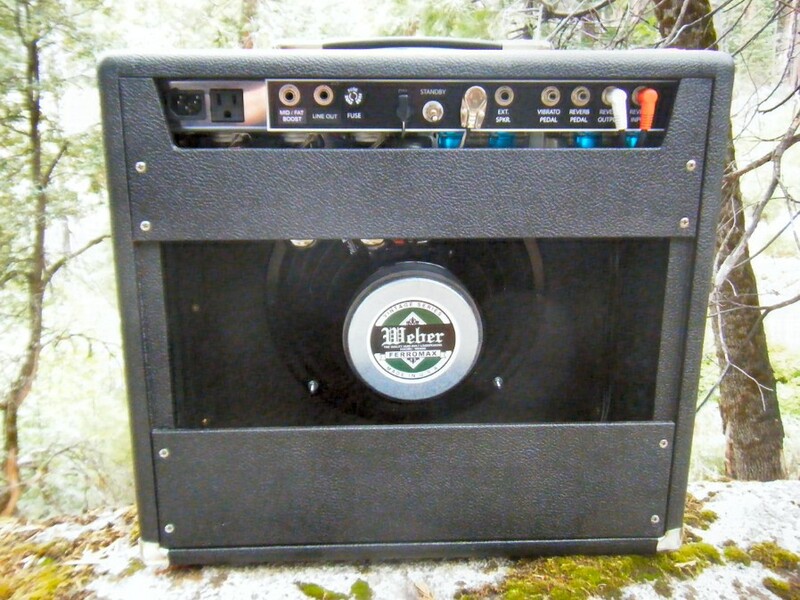 Prince-Twelve is a 35 watt RMS, powerful, compact combo amp with 12" speaker. 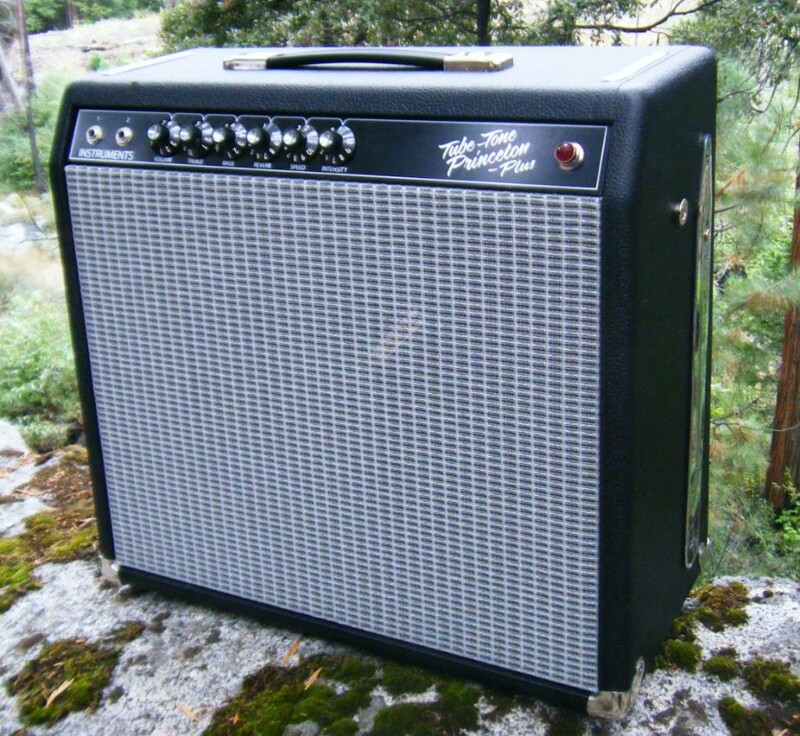 It's essentially a 67 Princeton Reverb AA1164 modified to accept (2) 6L6GC power tubes rather than the Princetown's 6V6s, using a larger output transformer and a 12" Weber 12F150 speaker. 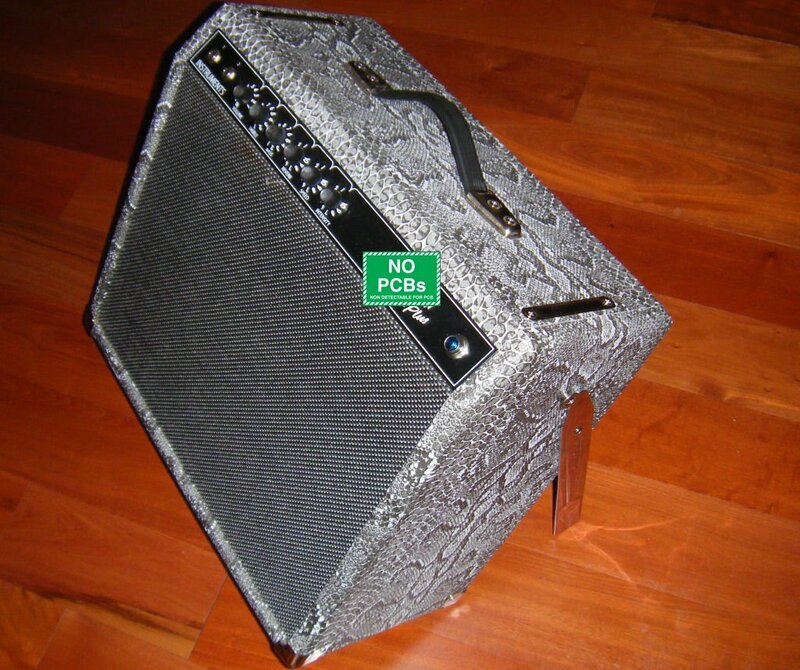 Amp pictured has a few mods such as a foot-switchable mid boost. 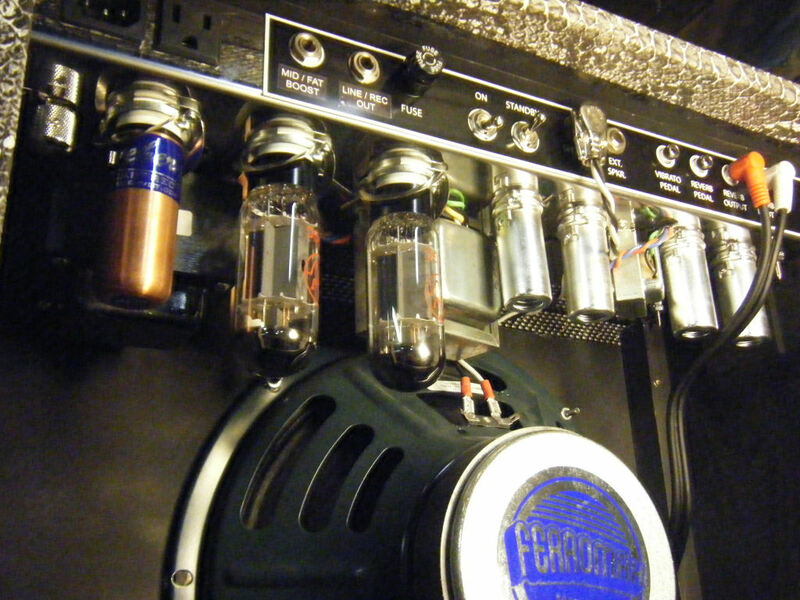 Switching it in gives a nice gain for leads, running the tone stack through added resistor/capacitor. 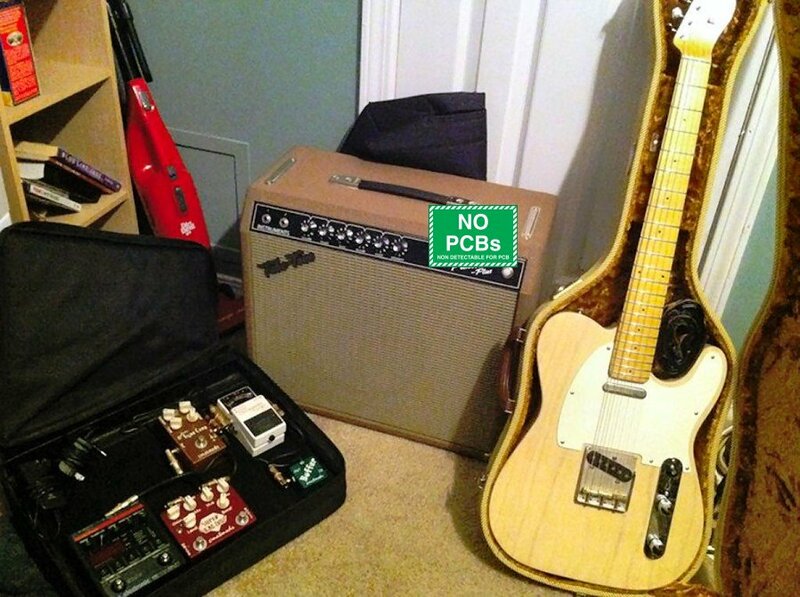 Also optional is the impedance selector switch for running additional speaker cabinets, selectable from 8, 4, and 2 ohms, and a 1/4" record/line out jack. 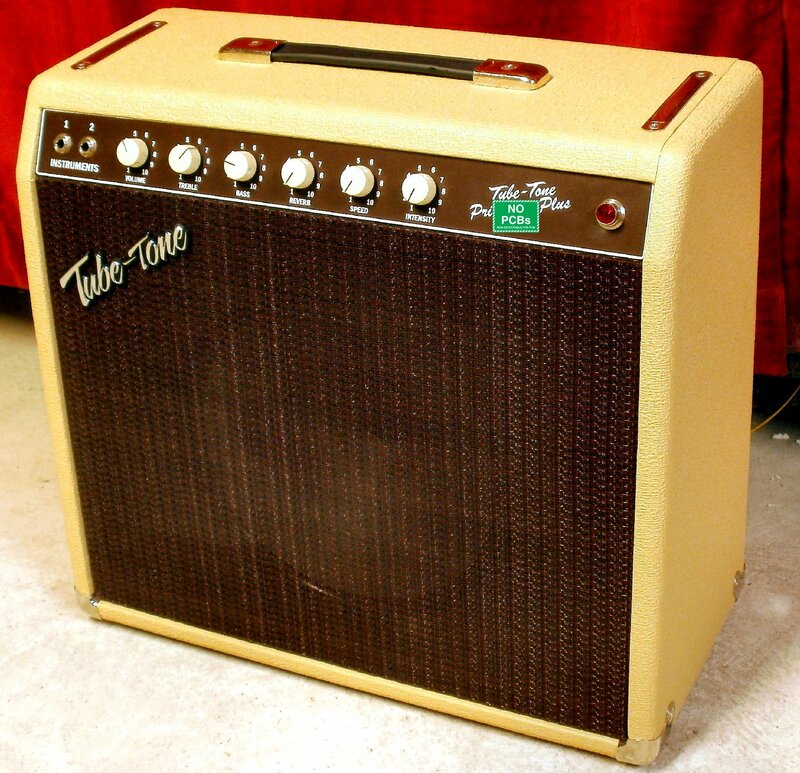 This uses the bias modulating tremolo, like the Blackface Princeton with an added adjustable bias pot for the power tubes. Quality components throughout, including JJ power tubes, Alpha and CTS potentiometers, Switchcraft jacks, Carling and Alpha switches. Available in all covering choices shown on "Coverings" page. Pictured here with power scaling as option. It's controlled by the knob in place of the on/off switch, click to on, dial in power scaling. 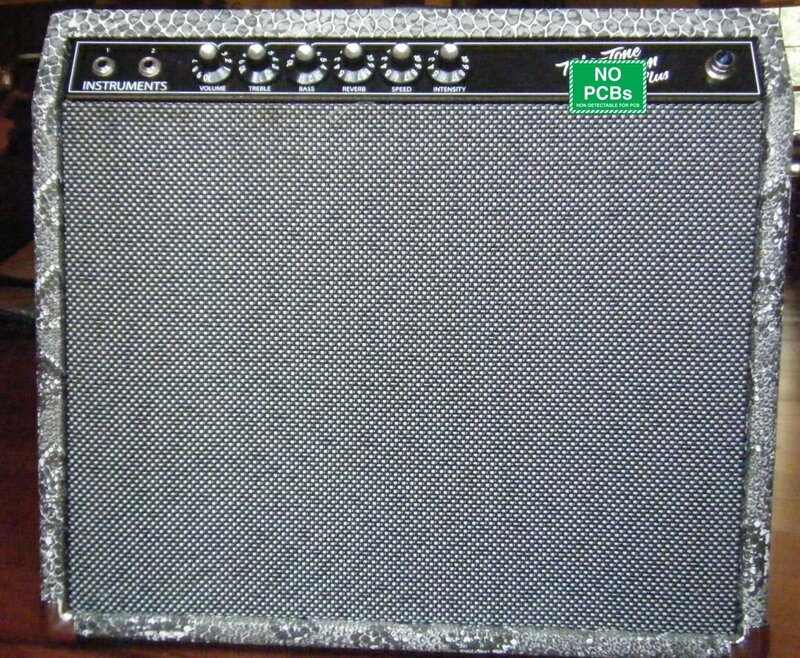 Deposit for Tube-Tone Prince-Twelve amplifier. 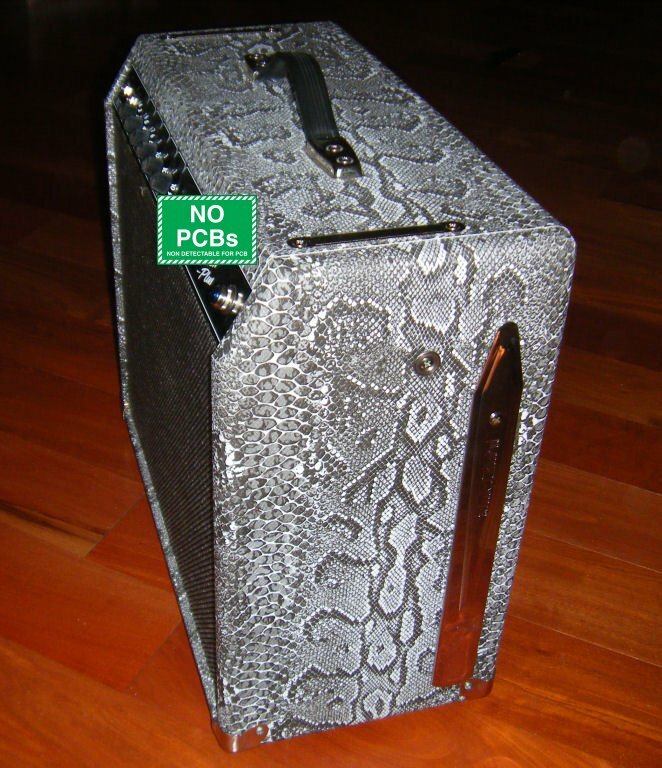 Total price is $1540 with free ground shipping in continental US or $1490 plus shipping to other destinations. Please inquire on our discounted FedEx and GLS shipping price. Specify cover and grill cloth, pilot light color, 120v or 230v. Allow 5-7 weeks build time.